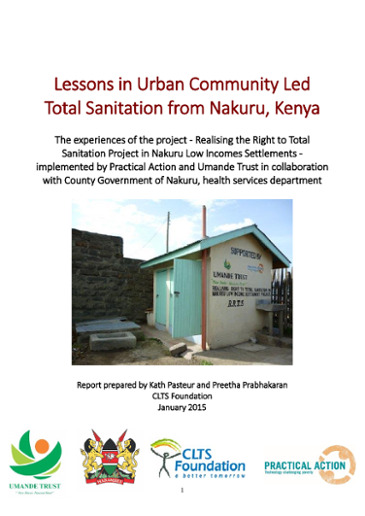 Water, Sanitation, Hygiene (WASH) and waste management are critical services that the urban poor have a right to. People’s lives are severely affected without them: their health is at risk, they use considerable amounts of time, and they often pay more for services than their richer neighbours. Without these services, people face a loss of dignity and the feeling of acute exclusion from ‘normal’ life. The problem is not generally one of availability- near neighbours in better off parts of the city have good access to sanitation and waste disposal- but of access in ways which are affordable and appropriate to people’s needs. Practical Action argues that delivery models need to create space for the informal sector, which is already a significant provider of urban services where formal services are absent. We believe that poor people need to be a leading partner in decision making about the allocation of resources and monitoring their expenditure; and about appropriate designs, delivery and management of WASH and waste management services. Municipalities and city governments are also central to this process, and need to be recognised as such. Various governments and donors have made good commitments to increase funding to WASH and waste management but the struggle is now to ensure these are honoured. The targeting of this aid is also problematic. Not enough of it goes to sanitation, and in urban areas, very little of it reaches the poor. The majority of funding for improving sanitation is put towards improving existing sewer systems, for example, rather than reaching those currently beyond the reach of such services. Our policy influencing approach to urban services is based on research and operational experience gained over many years in South Asia, Africa and Latin America. Involving people in decision making is central to our work, through the use of participatory approaches and technological innovation that is in line with the principles of technology justice. Participation and technology are critical to ensure a sustainable, fair and just future for all. Publishing data for access to services, which is disaggregated by wealth quintiles, or for slum areas compared to the rest of the city. Re-setting and using locally relevant poverty lines for urban areas. Within the post-2015 framework, aiming for universal access to sanitation at home in urban areas, universal access to life in an open discharge free environment (as well as open defecation free), and urban-relevant standards for water quality and accessibility. In line with the End Water Poverty ask to ‘Keep Your Promises’, we will hold governments accountable to the commitments they have made, for example Ngor Declaration (2015) made at AfricaSan4 together with the Sharm-el-Sheik declaration to provide transparency on sanitation spending separately from water and the aspiration to spend a minimum of 0.5% of GDP on sanitation and hygiene. We will seek greater recognition for the role and value that poor communities can play as part of the solution to inadequate urban services. We will continue to work alongside and in partnership with grassroots organisations such as WIEGO and Slum Dwellers International, and use our role as a lead partner in the World Urban Campaign and our involvement in the End Water Poverty Campaign. Greater policy coherence in sanitation, and between people dealing with sewerage and on-site sanitation. Greater recognition of the role of local government and its capacity needs. 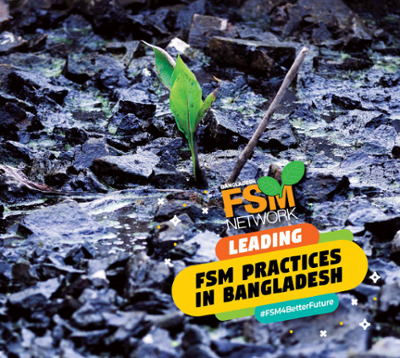 Finding new solutions to ensure adequate faecal sludge management across the sanitation chain, making space for and recognising the contribution of the existing informal sector. Greater consideration to water quality not only at the tap, but also in storage in households and at the point of use, while ensuring on-going access by the poor to a diverse range of water sources (including ground and surface water). Greater recognition for the contribution of the informal sector in waste management, using market-based approaches to channelling more value from waste to very poor collectors and recyclers.